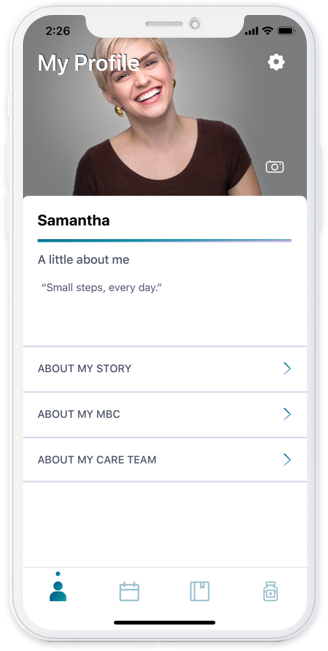 My MBC & Me is a mobile app that empowers people living with metastatic breastcancer (MBC) to better manage their treatment and communication with their care team. 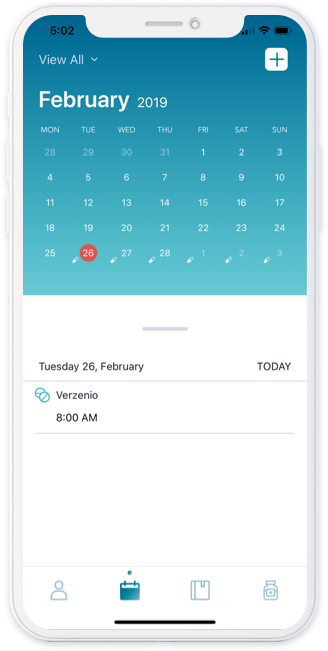 It provides disease and treatment information, personalized reminders, and tracks appointments, medication, treatment history, side effects, and symptoms. A questionnaire helps users outline their priorities and goals to refine treatment choices and their information processing and communication style. 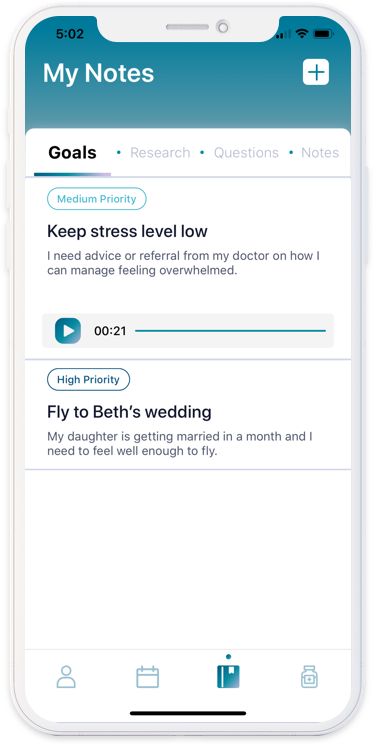 My MBC & Me allows users to upload and pin their research, notes, voice memos, and questions directly to calendar appointments, promoting more productive doctors appointments and enhanced patient self-advocacy. 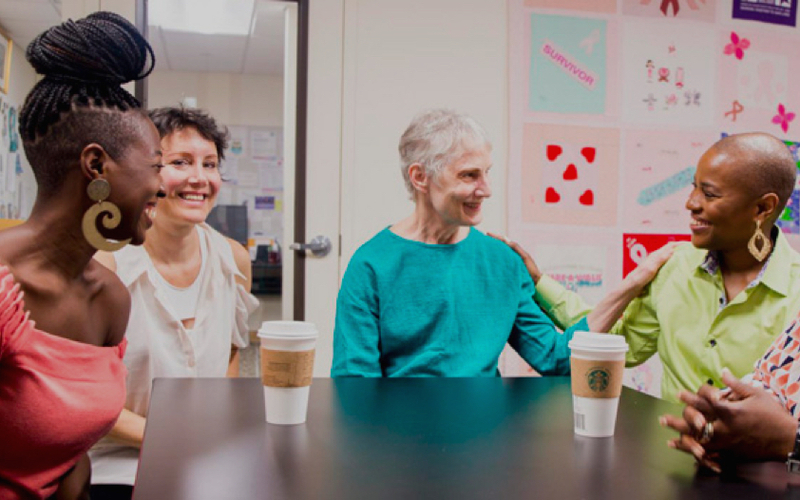 Whole-person decision-making between people with metastatic breast cancer and their doctors. Identify treatment goals. Log any research, notes, questions. Attach them to your appointments. Easily track your medications and side effects to easily communicate with your doctor. Reflect on what makes you, you. The calendar component tracks appointments, side effects, treatment regimens during and between appointments. 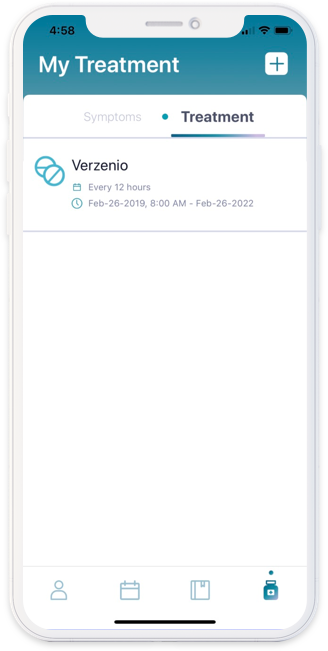 Attach information you’ve collected or recorded to specific appointments so that at the time of appointment, you have an interface with a reminder of all the information you need to discuss with your care team. By combining your goals, treatment, and side effects, medical professionals can better customize treatment plans to your specific needs as a patient. Have a question or suggestion fo the app? Feel free to reach out to us anytime. You succesfully sent us a message. Copyright © 2019 SHARE. All rights reserved.